Storm doors and security storm doors are an essential part of any homes curb appeal. Let the experienced staff at Home, Door and Window Products help you explore the extensive selection of beautiful custom storm doors available from Fox storm doors or Trapp storm doors product lines. For over 30 years Home and Door has been the trusted name for storm doors in the West Bloomfield and the surrounding area. We offer the most extensive selection of storm doors and storm door products and will find one that meets your need and fits your unique style. You have our word on it! West Bloomfield is officially known as the charter township of West Bloomfield and is located in Oakland County, Michigan. Just fewer than 65,000 residents are living in West Bloomfield who often refer to the area as simply “Bloomfield.” West Bloomfield was ranked as one of the most expensive places to live in Oakland County. Residents of West Bloomfield trust the quality of a security storm door from Home and Door and have come to rely on us for all storm door needs. 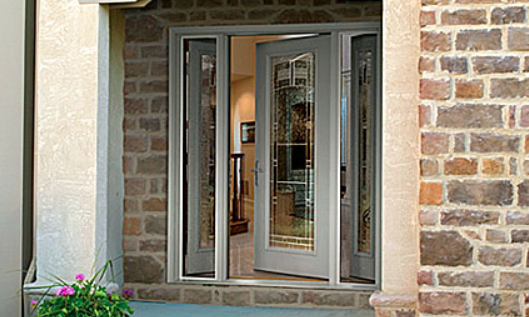 Home and Door is proud to be the premier Fox storm doors provider in West Bloomfield. A quality Trapp storm door will provide exceptional protection from drafts and leaks while adding beauty and security to your home. Our security storm door options will exceed your expectations. We have the most extensive selection of beautiful storm doors for any home or business at affordable prices. Let Home and Door show you the beauty of a new security storm door. To learn more about Fox storm doors, or how Home, Door and Window Products can find you the perfect storm door you have been looking for, call (248) 399-9900 to speak to one of our friendly customer service staff.